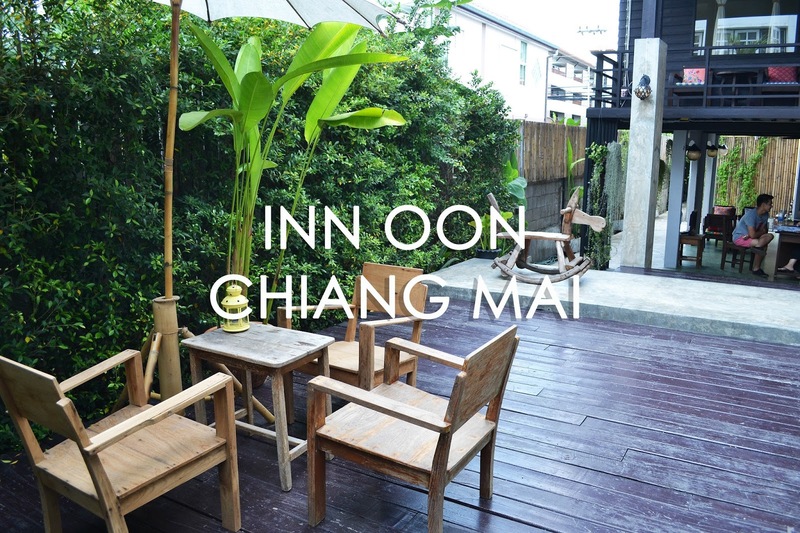 It's always a pleasure thinking about Inn Oon Chiang Mai Home. I take special interest to hotels that offer quite an interesting aura and Inn Oon is perfect for our 'flashpacking' genre in traveling. We were not traveling lavishly but we were also not on a strict budget, we wanted a hotel that's very personalized, small scale and holds that home feel we don't always get at luxury brands. Inn Oon was the perfect choice, considering cost, location and ambiance. Inspite being walled by indigenous materials, the aircondition worked pretty well and ventilation was absolutely great. Cleanliness was spot on and the linens and pillows are nothing to complain about. The nook accent on the headboard added to a more relaxing vibe while on bed. The ensuite toilet and bathroom also had enough space to move inside and the water pressure, which always makes or break a deal was good enough. Heading through the garden, you'll soon realize that this hotel depicts that of a modern Thai home that is reconstructed to be a home to more visitors. But rooms are limited and most of the time, they are fully booked so it is of utmost importance that a booking is made in advance. There's a tropical garden right at the patio to breathe in some fresh air. There's also a shared kitchen and a small lounge with some magazines and newspapers for some good talks. The owner, Wishi, also is happy to assist in case the guests need some help. She was very bubbly and humorous that we spent sometime laughing over jokes before she laid out her map and detailed us where we need to go. Booking.com has rated Inn Oon Chaing Mai Home as 9.1/10 which speak volumes about a stay in this hotel. Looks so cozy and I like the native ambience of the place. Great place to stay in Chiang Mai! The elements of traditional thai arthetics combined with nature and a sense of openness, kind of gives it a homey feel. I'd definitely consider staying here when I get a chance.